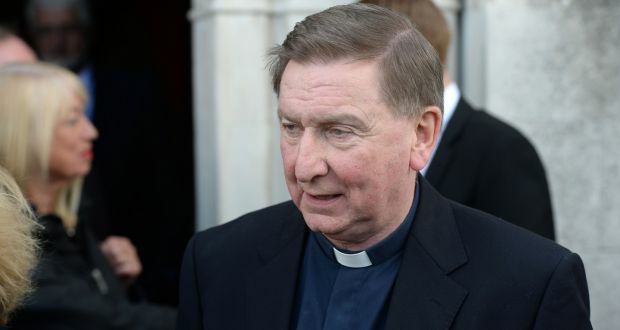 Censured priest Fr Brian D’Arcy has defended Fr Michael Cleary and Bishop Eamon Casey, who fathered children, as “loving” in their relationships with women. “The only thing that Mick did wrong was keep it a secret,” said Fr D’Arcy, who was censured by the Vatican in 2010 for his perceived liberal views onCatholic Church teachings. He believes the Eighth Amendment to the Constitution, which acknowledges the equal right to life of mother and unborn, would be repealed in a referendum. The priest also disclosed that late actor Frank Kelly had great difficulty in conscience with playing the role of Fr Jack in the Fr Ted comedy series. In an interview with Hot Press magazine, Fr D’Arcy described his reaction on finding out that his friend Fr Cleary had two children as one of absolute shock. As to whether Fr Cleary was in love, he said: “I often think that what Michael Cleary or Eamon Casey – and others – had done was loving. It was a kind of difficult, but real, relationship that he stood by. As to the possible hypocrisy involved, he said: “There are many people who will say to me that Michael said one thing and did another thing. There’s a bit of truth in that. But knowing him as well as I did, he had a very difficult life. Kelly had two uncles who were also members of the Passionist congregation, of which Fr D’Arcy is a member.